(From Pentax lens literature) The Pentax SMC P-FA 200mm f/2.8 IF telephoto is an ideal lens for serious sports and wildlife photographers. Easy to maneuver and not bulky, it is ideal for working in low-light conditions. It features an internal focus system to make focusing smoother and faster, and is treated with the acclaimed SMC coating for maximum light transmission, sharp definition, and high contrast while minimizing flare and ghost imaging. 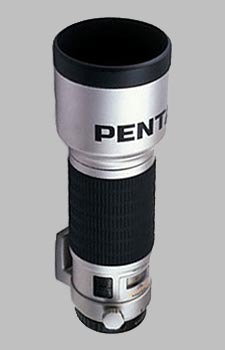 The Pentax 200mm f/2.8 IF SMC P-FA doesn't have any user reviews yet!